(Condenser Microphone) is the voice into the internal diaphragm vibration so that the diaphragm vibration caused by voltage changes and then generate signals. Its high sensitivity is commonly used for high-quality recordings such as guitar playing, complex ambient sounds and use in recording studios. Most condenser microphone is phantom power to radio, the use of more trouble. In contrast, the Dynamic Microphone, which contains coils and magnets, is less portable than the condenser microphone and has lower sensitivity to high frequencies. 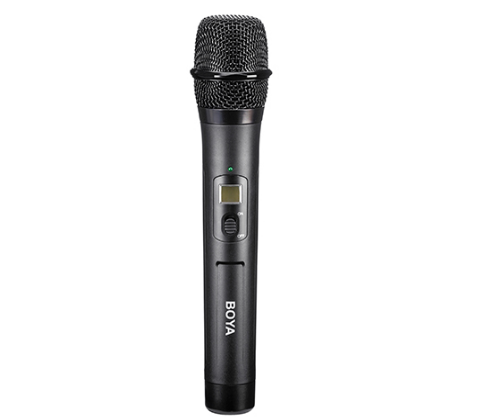 However, the Dynamic Microphone is softer for recorded vocals and live performances. , In recording studios are often used to receive high-pressure instruments, such as combat, speakers and so on. Dynamic microphone works with the opposite sound. When a sound wave makes the metal diaphragm vibrate, the voice coil connected to the diaphragm vibrates and the voice coil vibrates in the magnetic field of the permanent magnet to generate electric current (electric signal). Such microphones are often the preferred choice for recording on electric guitars, both on stage and in recording studios. The Condenser microphone senses the sound pressure with a thin metal / plastic film to directly change the electrostatic voltage between conductors into an electrical signal. In general, condenser microphones have a wider frequency response that captures the low and high frequencies well. They are more agressive than moving-coil microphones and have a better frequency response, so they are less robust than moving-coil microphones. The condenser microphone has switchable directivity, so you can adjust it for different placement requirements. This makes capacitive microphone more useful in recording.